Charlie: Isabella Swan, you need to tell me who the father is right now! Bella: You wouldn't believe me if I told you! Charlie: *puts on high female voice* Yes? Edward: Bella, I need to know! Who's the father!? Bella: Now who's keeping secrets! Bella: Who's the 18-year-old of the two of us? Bella: I got that, thanks. What's going on? *hears crying in the background* Who is that? *from the background* Nessie: HOW COULD YOU JAKIE!?!? Bella: Jacob, you better explain. NOW. *Nessie grabs phone from Jacob* Nessie: Mother, how could you have a baby with my Jakie!!! Why would you steal him from me!? Bella: Edward went to Jake's house and spilled that he's the one who got me pregnant, and now my daughter thinks I got with her boyfriend. Charlie: I never took you for a cougar, Bells. Bella: Jacob is not the father, dad! Bella: I. CAN'T. TELL. YOU! Uhm… So I guess nobody is interested in doing a skit. But I can’t get the story out of my mind. (I’m just like that. I need to know the ending to every movie or book I start watching/reading. I hate cliff-hangers and open endings. ) I really want to know who the father is hihi! Rapid_reader1, if you see this please let me know who you had in mind for the father. You can PM me if you don’t want to ruin the storyline or you can drop a hint in the next skit. You got me curious. I’ll give it another try, but I’m not that experienced, which is why I didn’t post sooner. I was hoping someone more experienced would jump in, but since that isn’t happening, I’ll come up with something on my own. Hope you enjoy. From your previous skit, I’m guessing that this is post-BD but somehow Bella made it out alive and is still human, right??? And she now lives with Charlie again and they are still in high school??? Not that it really matters because this is a skit after all and anything can happen, but I’m just a little confused here. Edward: JACOB BLACK?! JACOB BLACK!! How could she do that?! He is my daughter’s boyfriend! He is her daughter’s boyfriend! *Alice walks in* Alice: What’s with all the yelling? Alice: Yes, I heard that. What about him? Edward: He’s the father! How could they?! And why didn’t you see this coming, huh?! And where is the rest of the family? We need to take down a wolfpack! Alice: Well, you scared the rest of the family silly and now they’ve fled the country. Pathetic. I was the only one brave enough to stay. Edward: Humf, great! Thanks for the support, not. Alice: Anyway, I did see it coming, but I thought it was something Bella should tell you. Edward: Yeah, well, just … Ugh, I don’t know. I’m gonna talk to Jacob since Bella isn’t talking. Alice: Ok, just keep it nice. No fighting! I’m gonna get the family back. Edward: Yeah, yeah. I’ll be good. Jacob: That’s enough Monopoly for one day, Nessie. I’ve lost three times already. Nessie: But I like Monopoly! Nessie will let Jackie win, because Nessie loves Jackie! Jacob: Alright, but enough with the baby-talk. I know you’re smarter than that. But it is cute and I love you too. Jacob: What are you talking about? Edward: You know what I’m talking about! You knocked up my Bella! Nessie: Daddy, what are you saying?! *starts to sob and turns to Jacob* How could you do that? Jacob: I did not! Who told you this?! Jacob: Great, now I have two crying people in my living room. The only person who can solve this is Bella. Jacob: Well, I didn’t do it. Edward: I know. I’m going down there and Bella is going to spill! You try to soothe Nessie. Edward: Bella, open this door immediately! Edward: I know it wasn’t Jacob. Now, SPILL! Bella: Finally, you figured that out. I can’t believe you fell for Charlie’s bad impersonation of me. But I can’t talk about it here. Charlie (from the living room): Who’s at the door? Edward: Fine, then you’re coming with me. Bella: I can’t just leave. Edward: *drops Bella to the ground* Nobody’s here. It’s just us. Now spill! Bella: You could handle me with a little more care, you know. Pregnant lady here! Bella: OW! Edward, let go of me! Edward: PLEASE Bella, I'm begging you! Just tell me who the father is and I'll leave you alone!!! Bella: I can't! And you wouldn't believe me if I did tell you! Bella: FINE! I'll tell you! It's Carlisle! Esme: BELLA'S BABY IS YOURS!? Carlisle: But...but...It can't be! We used protection!! - Bella, we need to talk. - Why would you...you know...with CARLISLE? - Stop freaking out Edward. It's no biggie. ^^ Two is better than one! 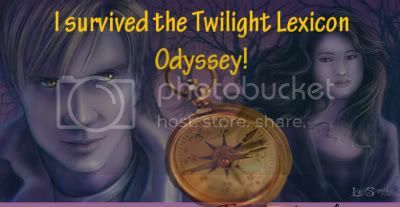 The more this thread gets posted in, the longer it stays on top of the Twilight Zone forum, and the more people will check it out! Alright, let's see what I can come up with then. Alice: All I can see is sand. Sand, sand, sand and more sand! Ugh! Just decide on a hill to sit on and stay there so I can find you already. They're all the same anyways! *some time later* Finally he sits down. It's about time. *runs to the place of her vision* WHERE HAVE YOU BEEN?! Jasper: Uhm, don't you already know that since you're chasing me halfway around the globe? Alice: O, right. Wrong question. WHY WERE YOU RUNNING FROM ME?! Jasper: I wasn't running from you. I was running from the emotional wreck that we call Edward. Alice: Well, he's not chasing you halfway around the globe now, is he? You could have stopped sooner. Jasper: O, right. Wrong answer. I was running because I couldn't believe you didn't tell me it was Carlisle. Alice: How do you know about that? Jasper: I sensed it when you told them Bella's pregnant. Alice: Alright. I'm sorry I didn't tell you. Now can you stop running? I think Edward has cooled down and I apologized and we need to find the rest of the family so we can solve this mess. Jasper: Ok, I'll help you. Do you know where they are? Alice: Jasper stop it! Focus! It's not my emotion, it's theirs. Jasper: Right, sorry. Couldn't help it. What about Esme? Alice: Hmm. Well, all I can see is this weird brown looking stuff and it is sort of making me happy. Jasper: Yes, chocolate can have that effect on humans. Do you think she's in Belgium? Jasper: Yeah, you know, where the best chocolate bonbons are from. Alice: Of course! Let's go!